The holiday season is upon us! And, as Andy Williams sings in his infamous Christmas song, “It’s the most wonderful time of the year!” Whether it’s the most wonderful time of year because presents are exchanged, your favorite seasonal foods (especially those holiday cookies) are available or whatever suits your fancy, there is something for everyone that makes it “worth the wait” of the whole year. One of my favorite things to do during this season is bake. If it’s pies for Thanksgiving or cookies for a Christmas party, either way, I love the process of baking. You start with some basic ingredients but after some TLC and time in the oven, those “basic” ingredients turn into a delicious treat that you can share and enjoy. But, a common issue I run into is trying to make goodies that everyone can savor. A lot of my friends are vegan or gluten-free and that can make trying to share something I love a little harder. At Rebecca Bitzer and Associates: A Dietitian for Every Condition, we believe you should be able to take part in all the fun of cooking, baking, and eating that the holiday season provides while still working towards your nutrition goals (or helping others). With that, here are 13 tasty Christmas treat recipes collected from different Registered Dietitians that range from gluten-free, vegan, and whole grain. With all these options it’ll make sharing the holiday cheer with everyone a little easier! 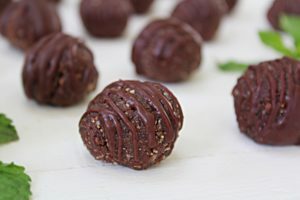 While you (correctly) may be skeptical of vegan, whole grain, and gluten-free cookies these are SCRUMPTIOUS. A really nice aspect of this recipe is that you can add any of your favorite ingredients. 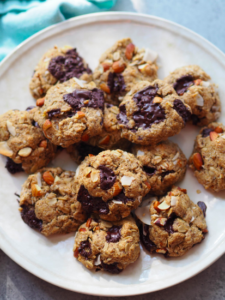 In the original recipe, by Rachael Hartley, she uses almonds, shredded coconut, dark chocolate, and whole oats but you can add dried fruit, candy or pretty much anything your heart may desire. Check out the recipe here. These cookies are a little different from your typical holiday flavors. Because they offer a tasty mix of spice using ginger and orange zest while incorporating whole grains and apricots.They can also be made only using one bowl, making them almost fail proof and they are vegan! What more can you ask for? The original recipe is by Stephanie McKercher, here’s the link to her full recipe. 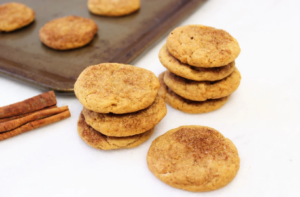 This unique sweet potato snickerdoodle recipe is not only yummy but also offers a little vitamin A and carotenoids because of the sweet potato. Dietitian Kelly Jones even suggests that these could be used as a pre-workout snack once in a while if the sugar won’t have a negative impact prior to your workout. Plus they are vegan friendly and nut free! Find her original recipe here. 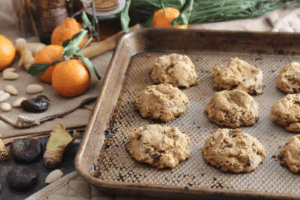 This vegan take on the classic Italian Anise cookies can become your new holiday favorite. What makes these cookies vegan is that instead of using butter, butter flavored coconut oil is used and instead of eggs aquafaba (the water that canned beans come in) is used. Plus these are also nut free for any friends with allergies. Find Emily Kyle’s full recipe here. These are a healthy alternative to the beloved chocolate pecan pie. 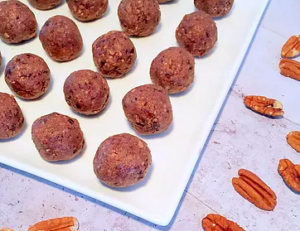 Instead of having a pie, which is mostly corn syrup, you can enjoy these which are mainly made up of pecans, dates, sunbutter and coconut butter (which also makes these vegan and gluten-free). No cooking time either! Here’s the tasty recipe by Melissa Groves. 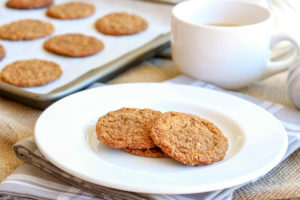 Anne Mauney makes these delicious peanut butter cookies using ground almond flour, flaxseed, nut butter, and maple syrup. 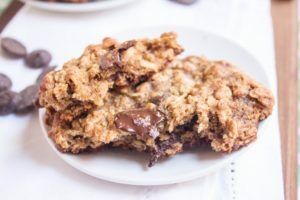 They’re basically the next level of an oatmeal raisin cookie and provide a great vegan and gluten free alternatives to those who may need it. Yum! Here’s her recipe. 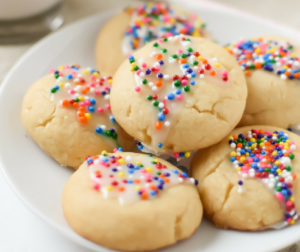 These incredibly easy cookies only have 5 ingredients and are super tasty. It’s a perfect mix of pumpkin spice for this time of year and has the added benefit of being gluten free for those with celiac or gluten intolerant. Dietitian Shannon suggests making two batches in anticipation of how quickly these cookies will go! Here’s her recipe. Here is another gluten-free recipe by Anne Mauney. Unlike her peanut butter cookie recipe, this one is not vegan. 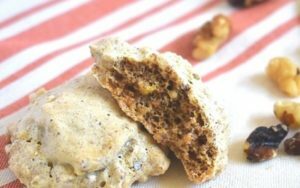 An interesting ingredient she uses in these appetizing gluten-free cookies is chickpea flour! You can’t tell in the end product that there are beans in them. 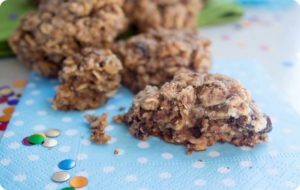 If you want a nice hearty, healthy cookie check out her original recipe here. Lindsey Pine was able to make these delicious meringue cookies with less sugar! Most meringue cookies have about 3 teaspoons of sugar per cookie! But she made these only have about ½ teaspoons of sugar per cookie. Plus they are gluten free! With lemon, walnuts, and vanilla it is a tasty combo you aren’t prepared for. Her recipe here. Just like the gluten-free chocolate chip cookies, this recipe uses chickpea flour. Go beans! These chewy, moist cookies are sweetened with honey and peanut butter (along with chocolate of course). Certain to be a crowd pleaser while pleasing your gluten-free buddies even more. Find Judith Scharman’s original recipe here. 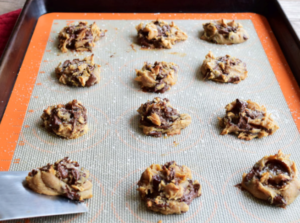 This recipe, made by one of our own beloved RD Kaitlin Williams Eckstein, may not be a cookie but is just as delightful as one. Her recipe uses dates along with macadamia nuts, cashews, and oats as the main ingredients. The minty flavor is perfect for this holiday season but can be enjoyed as a snack or dessert throughout the year. Check out the recipe here. Need to increase some fiber in your life? 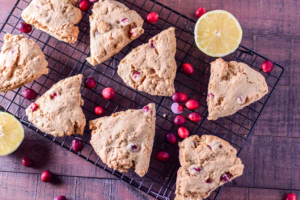 Try this delicious scone recipe that uses whole wheat flour to increase your whole grains and it also takes advantage of cranberry season! The scrumptious lemon and cranberry flavors compliment each other for a festive fall feel. Follow Josten Fish’s original recipe here. 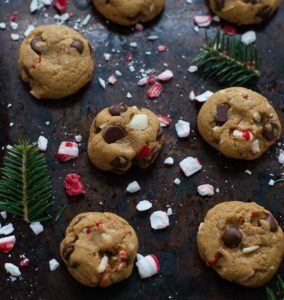 This easy recipe takes chocolate chip cookies to the next level for this holiday season. With the peppermint candy pieces and dark chocolate it is a match made in cookie heaven. These are sure to be a crowd pleaser. This recipe was posted on Kara Lydon’s website and can be found here. While this time of the year is known for family, friends, and eating good food, it is also known as a time of sharing. Sharing food that everybody is able to enjoy, despite their dietary restrictions, is often overlooked. We hope that these recipes help make sharing the holiday spirit, what you love, with those you love a little easier. Speaking of sharing, thank you to all of our Registered Dietitian friends who let us share their favorite holiday recipe. If you would like input from a nutrition expert to help make your food simple and enjoyable no matter what your dietary restriction happens to be, please contact us here or email us at admin@rbitzer.com. You can also call us at 301-474-2499. Happy Holidays!